Today I’m excited to introduce my monthly Artist Spotlight series! I’m a lover of the fine arts and I am always delighted to discover an artist whose work is aesthetically impactful and tells a story. 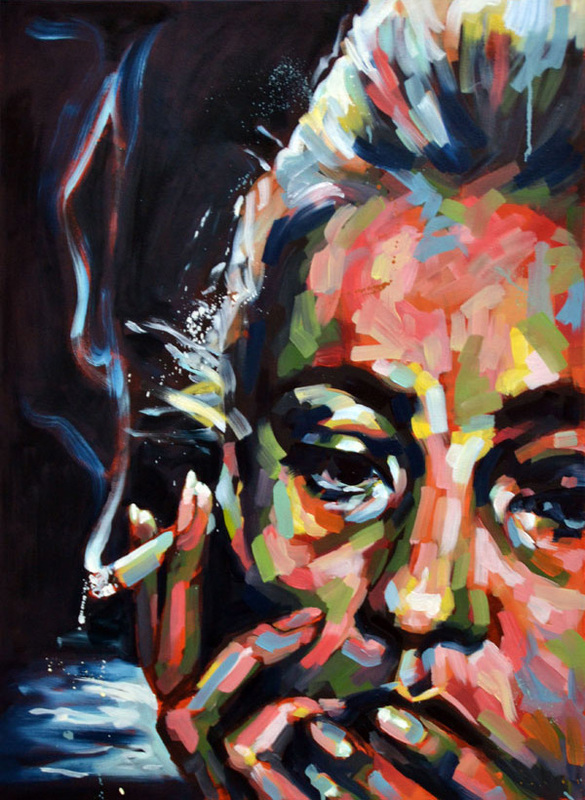 This month I’m featuring Artfinder painter and mixed media artist, Sal Jones of London! I am loving both her older and newer works. 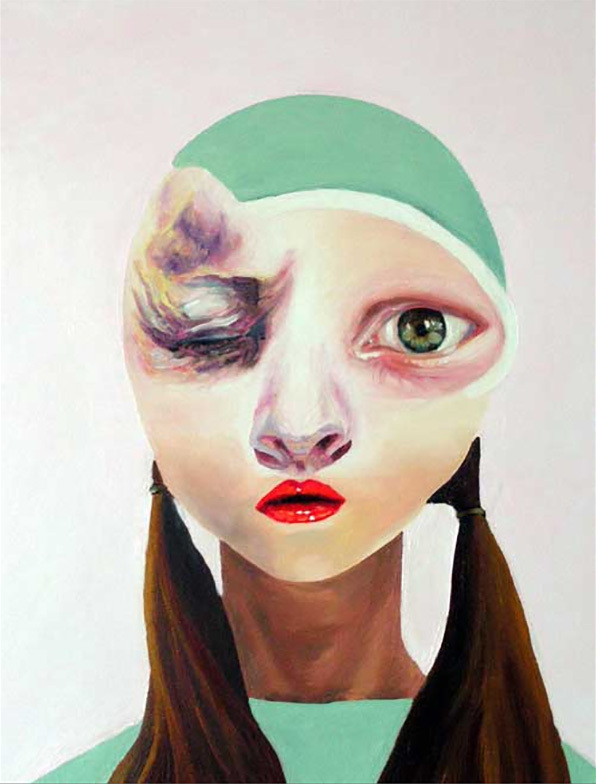 Her painting style is bold and expressive. 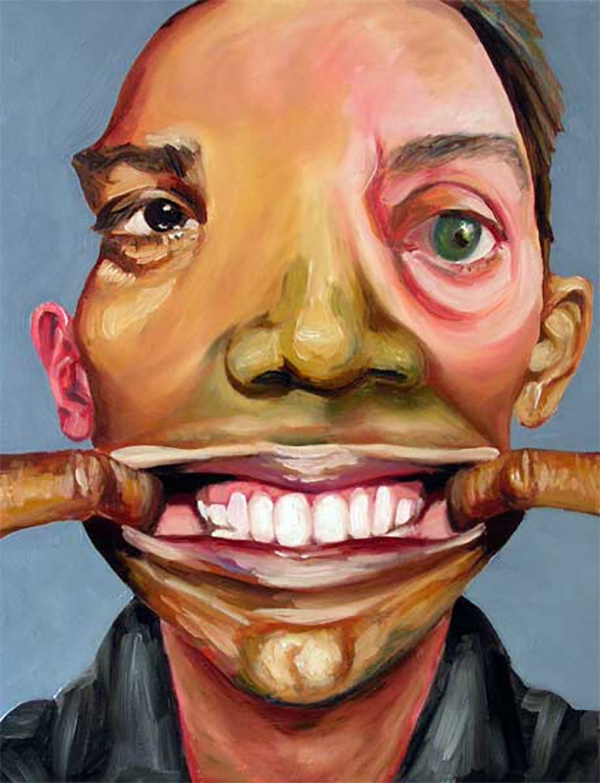 Her artwork, as described by Sal, is portrait style, capturing and then reinterpreting emotions in time, while “blurring the boundary between fact and fiction” when portraying the human psyche. Sal’s work is not posed, but rather takes an almost fictional approach. She thinks of her paintings as “character studies”, which really conveys just how much is shared about these “characters”, if you will, in Sal’s emotion-capturing, color saturated works. 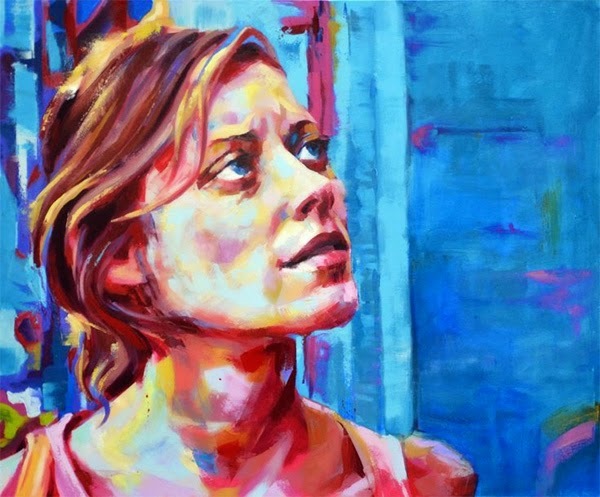 Sal’s work captures a moment in time in the subject’s life and allows the viewers to interpret for themselves what emotions are going on in the mind of the “character”. If you’re enjoying Sal Jones’ artwork as much as I am, she has many more works featured on ArtFinder.com, a great website for sourcing artwork for your home! I hope you’ve enjoyed today’s artist feature. I’m eager to see even more of Sal Jones’ work in the future. 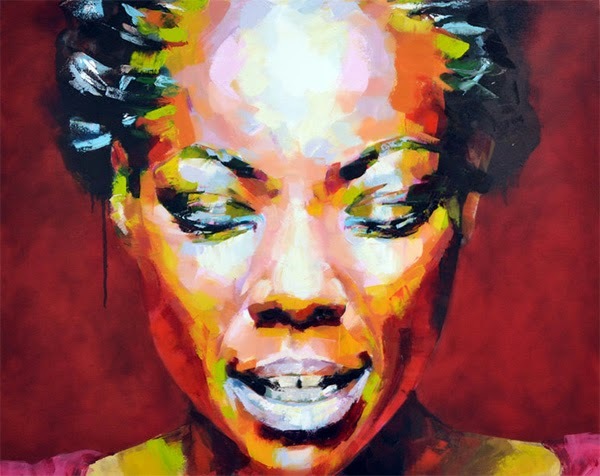 You can purchase her stunning paintings on Sal Jones’ page on Arfinder. If you are an artist interested in being featured or if you have an artist you’d like to suggest, please contact me via email. I love learning about new artists! Be sure to subscribe to catch the next Artist Spotlight. Terrazzo, Pavers, and Other Concrete Creations! At home with Jacquin - My bedroom tour! Mekeka Designs - Bringing Ugandan artistry to the U.S.
DIY Shibori tie-dye cotton napkins! Get Crafty This Summer With "Beading Dreams"
Announcing the NEW Interiors by Jacquin online shop! Fun Finds at the Traders Village Flea Market! The perks of decorating with a neutral palette + color! Entertaining with Style: Paper Ave parties with paper flowers! Touring the Dallas Decorators Showhouse... and it's bold! Luxurious leather walls from Studioart Italy - A must see! 5 Steps to Contemporary Style at Home with Modani! Eating healthy - The "Everything You Need Salad"
5 Steps to Contemporary Style with Modani! Your "Go-to" brand for upholstered furniture on a budget! Vote for me in the Amara Blog Awards! 3 Great Ideas for Turning Fabric into Wall Art! Entertaining with Style: Cooking Sous Vide and with a Blow Torch! Looking for 2 great interns - Apply! Web Roundup to start your weekend + My new 'About' page! 6 Chic Budget Coffee Tables + a life update! Whimsical wool felt throw pillows from the Netherlands - So fun! Entertaining with Style: Sweet Lulu's Colorful Margarita Party! Celebrating the Diversity of Love + a Home Tour! 2016 Top 90 Interior Design Blogs Worth Following + A Home Tour! What to do when it's freezing outside? Grow microgreens indoors! Empowering Young Artists to Create with Wunderkid co. Host a Champagne New Year's Eve Party! For Your Weekend Reading... An Awesome Web Roundup! S'mores Marshmallow Shooter Recipe + a Home Tour! Mix Things Up with Embroidery in Home Decor! Beautiful Neutral Home with Pops of Electric Blue! Lenny Kravitz's New Collection for CB2! When you want a taste of France at Home... And a Cozy Office Tour! Sonya Winner Gives Rugs a Fine Art Appeal - Think Rothko-esque! Amara Blog Awards + "Shabby-Chic" with Chairish co. Tips for Purchasing Appliances + a Home Tour! Let's Hop Over to Paris! Globetrotting in Style - Dallas! Globally Chic Accessories from Desically Ethnic Co.
Everyone Loves a Ruffle (Cake)! DIY Decor for Your Home! Go Bold with Paint Splatter in Design! Serena & Lily Summer Favorites Including DRESSES! Let's Go on a Picnic! TOP 100 INTERIOR DESIGN WEBSITE & The Etsy Craft Party! 9 Ways to Update Your Bedroom for Summer! Get Your Photos Onto Your Wall with Creativity! Fab Web Roundup to Start Your Week! Pretty New Tile from Fireclay Tile co. Giveaway in honor of NEW blog design! Have a Spa Day at Home! Featured on Writing in Red Lipstick's Interview Series Today! Double the fun with twin rooms! HGTV's Ellen's Design Challenge is pretty awesome! Decorate Every Nook in Your Home! 10 Things You Want to Try in the New Year! Crab Wonton Recipe - Yum! Recreating a relaxing bedroom retreat - Room Re-do Time! I've got the perfect rug for you! An Artist Collaboration & Two Free e-designs! 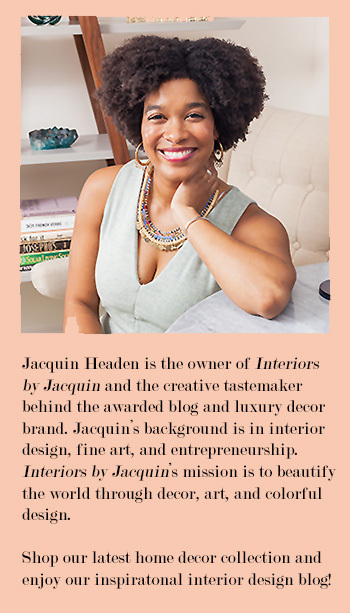 At home with Jacquin – My bedroom tour! Mekeka Designs – Bringing Ugandan artistry to the U.S.